Welcome to Episode 106 of SunCast, Solar Warrior! 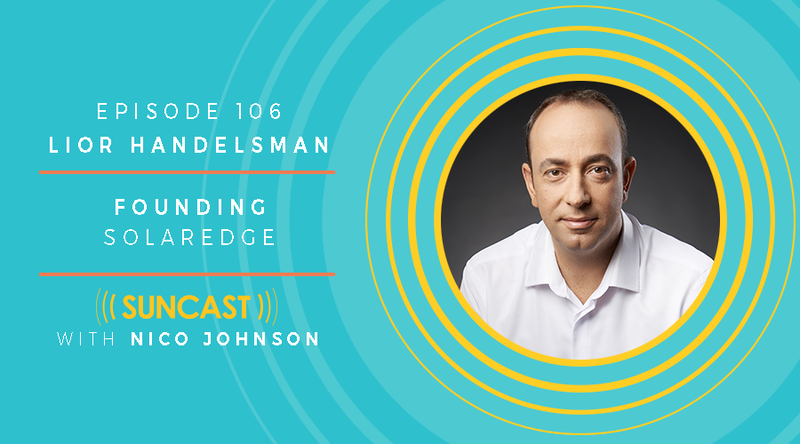 Speaking of Warriors, today's guest, Lior Handelsman, is not only an officer of a publicly traded company, but spent a lot of time in the Israeli army - so did the rest of the SolarEdge founding team. Today you'll hear their process for coming up with the idea for SolarEdge, as well as how their military background is infused into the culture of one of the top solar product companies in the world.